Once again, as I prepare for a summer break down the coast, I have packed several Central Asian titles in my bag. First up is Frederic Starr's book that recounts how, between 800 and 1200 AD, Central Asia led the world in trade and economic development, the size and sophistication of its cities, the refinement of its arts, and, above all, in the advancement of knowledge in many fields. 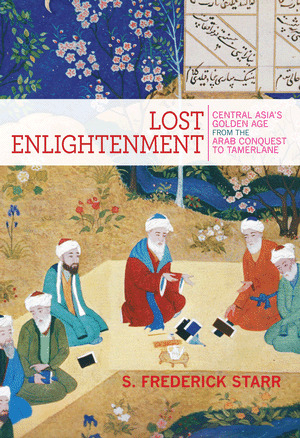 Central Asians achieved remarkable breakthroughs in astronomy, mathematics, geology, medicine, chemistry, music, social science, philosophy and theology. They gave algebra its name, calculated the earth's diameter with unprecedented precision, wrote the books that later defined European medicine, and penned some of the world's greatest poetry. Rarely in history has a more impressive group of polymaths appeared at one place and time. After reading the first chapter (free download here) I was hooked and immediately ordered a copy. It is also available as an e-book. If you have read Jonathon Lyons The House of Wisdom, then you will like this book. The second-hand book sellers' area in Tashkent is an excellent place to pick up art and craft books, many of which were published in Russian, Uzbek and English. Generally the reproductions are high quality. Born in Russia, Alexander Nikolayev moved to Samarkand in 1920 and joined the Masters of the New East movement. He converted to Islam and took the name Usto Mumin. His avant garde style was influenced by oriental miniatures. Usto Mumin was repressed in the 1930s because of his homosexuality. After release from the gulag, he settled in Tashkent and worked as book illustrator and theatre designer. 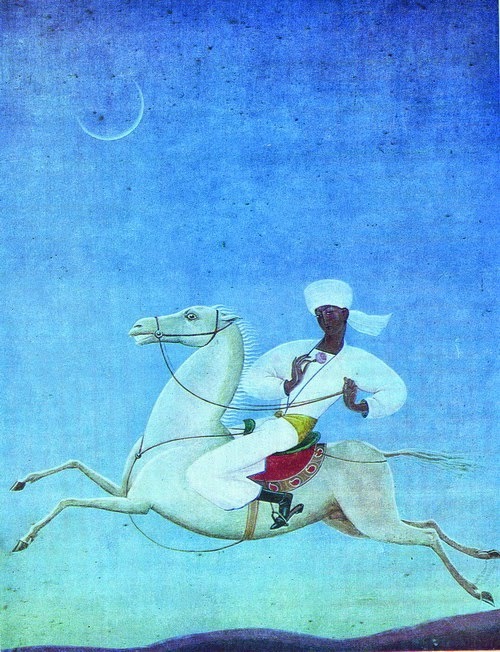 In the same series, Masters of Arts of Uzbekistan, from Tashkent's Gafur Gulyam publishing house, I found a similar book on Alexander Volkov, one of my favourite Uzbek artists. Christies held an exhibition of his work late 2012. Both the Savitsky collection in Nukus and Tashkent's State Museum of Arts have excellent collections of Usto Mumin's and Volkov's works. In preparation for a trip to Azerbaijan next year, I am looking forward to reading Memories of Baku: Beyond the Land of Fire. Editor and co-author Nicolas V. Iljine, uses a collection of photographs, art and essays to show the changes in Azerbaijan as it became a large oil-producing nation, particularly in the capital city of Baku. Iljine had first started the project after obtaining a postcard collection from the end of the 19th century of Baku, and his interest turned into a "passion for discovering local impressions from further afield in Azerbaijan". 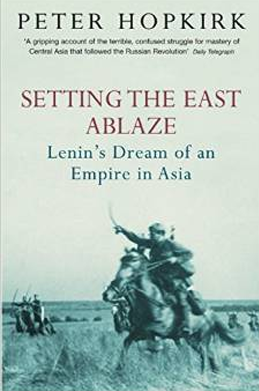 Outstanding journalist Peter Hopkirk, known for his books The Great Game and Foreign Devils on the Silk Road, wrote this account of Lenin's dream to liberate the whole of Asia (starting with British India) in 1984. Hopkirk, a true Central Asian expert, died in August this year. He was president of the Cinematographers' Union for many years. These stunning photographs are not only of the magnificent Kyrgyz landscape, but also of Aitmatov and scenes from films based on his novels. To all Uzbek Journeys clients and readers of this website - I wish you all an interesting, happy and safe 2015.